REFRAMING PSYCHOANALYSIS is a focus for research in psychoanalysis across the Consortium for Humanities and the Arts South-East England (CHASE). CHASE brings together nine leading institutions engaged in collaborative research activities in the arts and humanities, including an AHRC doctoral training partnership. These are the Universities of East Anglia, Essex, Kent and Sussex, the Open University, The Courtauld Institute of Art, Goldsmiths, University of London, Birkbeck, University of London and SOAS, University of London. It is central to the CHASE ethos that serious disciplinary research is interdisciplinary, and should also encourage emerging fields of study and creative practice. 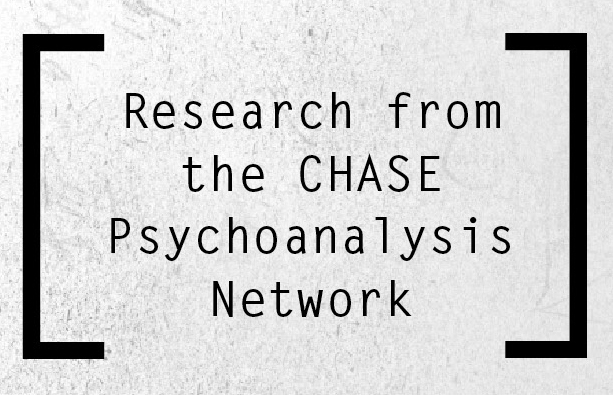 CHASE includes a large number of faculty and doctoral researchers and practitioners engaged in psychoanalysis across a range of disciplines and inter-disciplines. Providing a platform for that research, the REFRAMING PSYCHOANALYSIS website engages with emerging forms of study in psychoanalysis, including experiments in new forms of attention and communication. It will benefit in this endeavour from CHASE’s partnerships with leading organisations in the creative and public sectors.